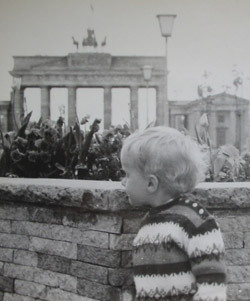 It's been 25 years since the Berlin Wall fell. But what remains? Can we ever really know a city? What makes up the history of a city? Is it the linear timeline — the who invaded when; the who led which group into victory or destruction; the list of intellectuals, emperors, madmen, musicians, scientists, orators who came through and left their mark? Maybe it’s the physical landscape, the rivers that create trade and wealth, the mountains that provide security and shelter. And what does that history add up to — if you learn enough about a city’s history, will you finally understand what makes the city what it is, will you capture its essence on the page?